mauilibrarian2 in Olinda: Our Third Pop-Up Maker Event at Our Library -- Christmas Gifts and Snowflakes! 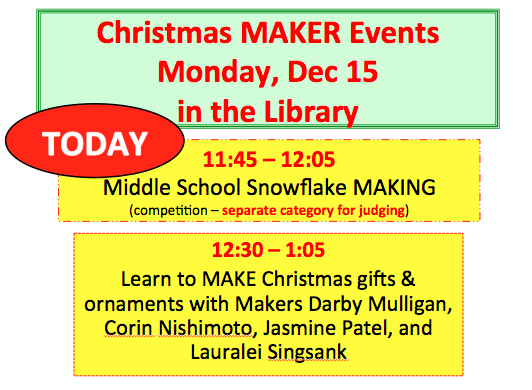 Our Third Pop-Up Maker Event at Our Library -- Christmas Gifts and Snowflakes! Our library's third pop-up Maker event, this time with a Christmas theme, was a HIT! loom bands to give as Christmas gifts. 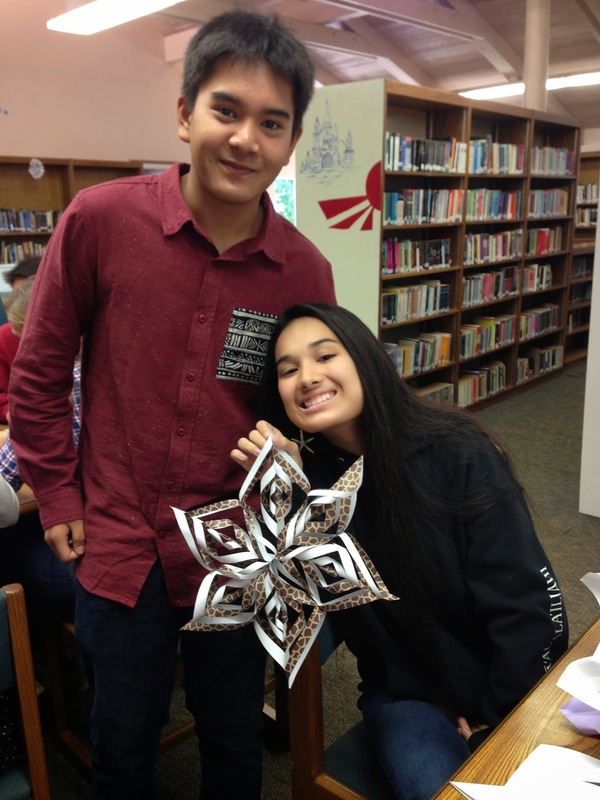 Jasmine showed students how to make snowflakes, and Darby cranes. Phoebe went for a multi-colored and dainty one. Thomas poses with Kyleigh and her jungle-print origami paper snowflake. Mahalo to Darby, Corin, Jasmine, and Lauralei (and Jessica and Angela) for being so willing to share their maker skills with their peers. The snowflake contest was an add-on that kind of just evolved. Students who were helping me plan our Annual Keiki Christmas Storytelling Hour (blog post to follow about this event) chose to decorate the library with a Winter Wonderland theme. So the snowflakes were a natural. 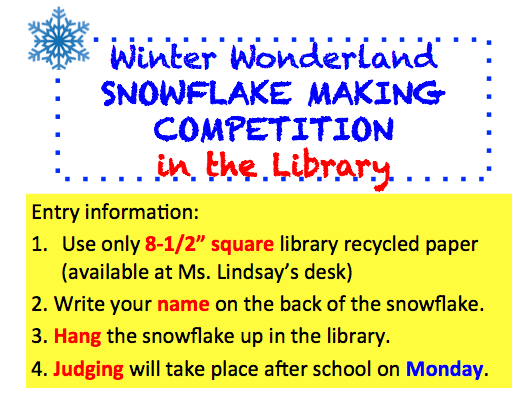 Snowflakes were to be made in the library, from recycled library paper. Snowflakes popped up everywhere! What a Wonderful Winterland sight! Kudos to everyone who made a snowflake. The variety was quite amazing, and all the creations were so beautiful. This Christmas Maker event was just the thing for students who needed a break from studying for finals, I think. What will be our next pop-up Maker event? Stay tuned! 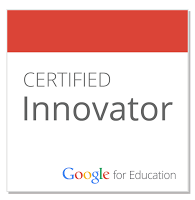 My goal this year is to celebrate the student makers in our community, and I'm already thinking that there are enough makers in our community to go on indefinitely. 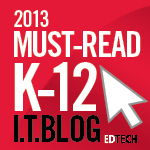 There is so much talent among us, and our students are very willing to share. How lucky are we?